Wellness Feature: Interview with Pamela Clemens, co-founder of Day by Day Beauty, and Giveaway! Please help me welcome Pamela, co-founder of Day by Day Beauty, to Library of Clean Reads! Two weeks ago I reviewed her Vitamin C Serum skin care product (read my review here) and I loved it. It's made with natural and organic ingredients and feels great on my skin. I wanted to know more about the company Day by Day Beauty, and so I have invited Pamela to share her knowledge with us. There's also a giveaway of a 50% off coupon, so be sure to read the interview and enter the giveaway at the end of it. LCR: Hi Pamela, thank you so much for sending me your Vitamin C Serum product for review. On your website you state Day by Day Beauty is a family owned business. Tell us what made you start this company and how long you've been in operation. Pamela: Yes, currently Day by Day Beauty is owned and operated by family. My husband and I have always appreciated family-run businesses because they truly offer a personal touch to customers and commitment for quality products. Day by Day Beauty became an official business just last fall of 2013. It has already been an amazing journey and I can’t wait to see where our beauty brand goes over time. My background is actually in elementary education. Prior to Day by Day Beauty, I had been teaching for 7 years in the Central Illinois area. As much as I loved teaching, I had an itch to try something new. After many discussions and prayers, my husband and I felt lead to start our own business. LCR: What is your company's philosophy or mission? Pamela: Day by Day Beauty is a beauty brand focused on providing customers with natural skin care solutions. Day by Day Beauty's skin care line keeps environmentally conscientious beauty gurus in mind: All products are made in the United States under FDA guidelines. There is absolutely no animal testing, no parabens, no alcohol and no additives. Products will come with minimal packaging that is recyclable. TRR Organically Skincare are handmade to order by a licensed Aesthetician of 15 years. TRR Organically Skincare is 100% natural and made from essential oils and other pure ingredients. LCR: You currently have two products for purchase. Can you briefly tell us more about them. Of course! We started Day by Day Beauty with just one product - our Vitamin C Serum. Day by Day Beauty’s Vitamin C Serum is infused with Vitamin E and Vegan Hyaluronic Acid, and is 98% naturally derived and 72% organic. Vitamin C Serum is a natural approach to combatting the signs of aging. While dermatologists and estheticians have been recommending Vitamin C Serum for many years, the Serum gained its popularity from a celebrity television Doctor. We were thrilled with Day by Day Beauty’s instant success of Vitamin C Serum. In February, we became the #1 selling Vitamin C Serum on Amazon.com. Additionally, Vitamin C Serum protects the skin from environmental aggressors and free radicals. In addition to Vitamin C Serum, Day by Day Beauty just started selling Hyaluronic Acid Serum. Hyaluronic Acid Serum is paired beautifully with Vitamin C Serum, but is also effective on its own. Hyaluronic Acid Serum is most known for its moisture retaining properties and anti-aging benefits. Our Hyaluronic Acid Serum is an ultra-light gel that leaves the skin deeply hydrated without that greasy feeling. Our formula is infused with Vitamins E and C for added antioxidants. Additionally, Hyaluoronic Acid Serum protects the skin from environmental aggressors and free radicals. LCR: Are you going to be offering more skin care products in the near future? On the Day by Day Beauty website, we will be offering a line of skin care products that are 100% organic and custom made to order by my cousin Nichole. Nichole is a licensed esthetician and makeup artist of over 15 years. Nichole started making her TRR Organically Skincare line because she wanted to offer natural and organic choices to her clients. Nichole and I realized…we could join forces! TRR Organically Skincare will have everything from cleansers, toners, moisturizers, masks, scrubs - everything! Each product is custom made to order. For both the Day by Day Beauty website and our Amazon.com & Amazon.ca stores, Day by Day Beauty has a few product ideas being worked in our cosmetic lab. We love what is coming, but will not release them until we know they are just perfect! LCR: If someone has very sensitive skin, should they be using your products? Do you allow your customers to know the ingredients in your products? Pamela: The ingredients in our each of our skin care products are listed publicly in both written and picture format. We do not withhold any ingredient in our labeling. Both our Vitamin C Serum and Hyaluronic Acid Serum are safe and effective for delicate and sensitive skin. We have many customer reviews that were written about this in fact. If you are new to either Serum, we recommend daily application just in the morning. As skin grows accustomed to the new product, then you can apply twice daily. On our FAQ page on the website, we also share how customers can stagger treatments if they are currently using Retinol products, chemical peels, and LED light therapy. I have written a blog post about why Vitamin C Serum could cause skin irritation which is informative. Just because some sensitivity may have been experienced doesn’t mean that Vitamin C Serum can’t work for you. LCR: Are your products created for a certain age group? Pamela: My husband and I wanted to create a line that could work for our parent’s generation as well as our own. Both to combat the signs of aging and to protect the skin. We have found our Vitamin C Serum and Hyaluronic Acid Serum most popular for customers 35 and older. LCR: Currently, where can customers purchase your products? Is there a money-back guarantee? Pamela: Our Vitamin C Serum and Hyaluronic Acid Serum can be purchased on Amazon.com, Amazon.ca, and through the Day by Day Beauty website. TRR Organically Skincare will only be available through our Day by Day Beauty website. Yes, we do offer a 100% Satisfaction Guarantee on our products - for the lifetime of the product! We just ask customers to only purchase from authorized dealers of our product to ensure the authenticity and guarantee. LCR: Do you ship worldwide? Pamela: Anyone can contact our company through our website so we can set up international shipping. At this point, Day by Day Beauty does pass the shipping charge to international customers despite the size of their order. If within the United States, shipping is free if your order is over $50.00. LCR: Your website mentions an exclusive VIP Club. Can you tell us more about that? Pamela: Our VIP Club is a perfect way for customers to get inside access to Day by Day Beauty. VIPs get exclusive promotions and are the first to know about product launches. LCR: Thank you, Pamela, for taking the time to answer these questions for me and my readers! Pamela: It is my pleasure - thank you for the opportunity! LCR: Here's a quick intro video from Pamela. 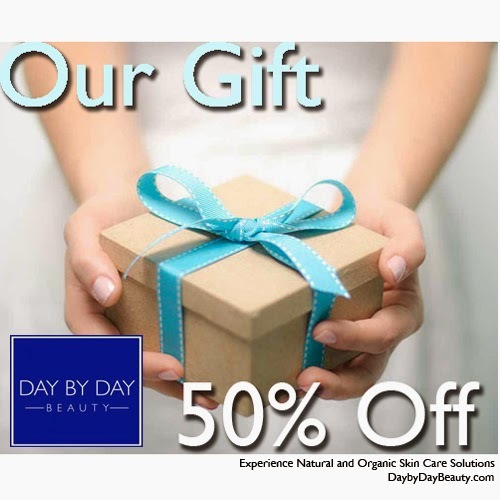 Day by Day Beauty will adjust winner’s purchase order by 50% on any size order up to $50. 50% off excludes the cost of shipping (if applicable). Winner may purchase through Amazon.com, Amazon.ca or Day by Day Beauty’s website. Winner can contact Day by Day Beauty at contact@daybydaybeauty.com with their order ID# and where the order was purchased. Day by Day Beauty will adjust total in the form of a refund. Day by Day Beauty can only adjust for Day by Day Beauty items, not other items purchased at the same time. 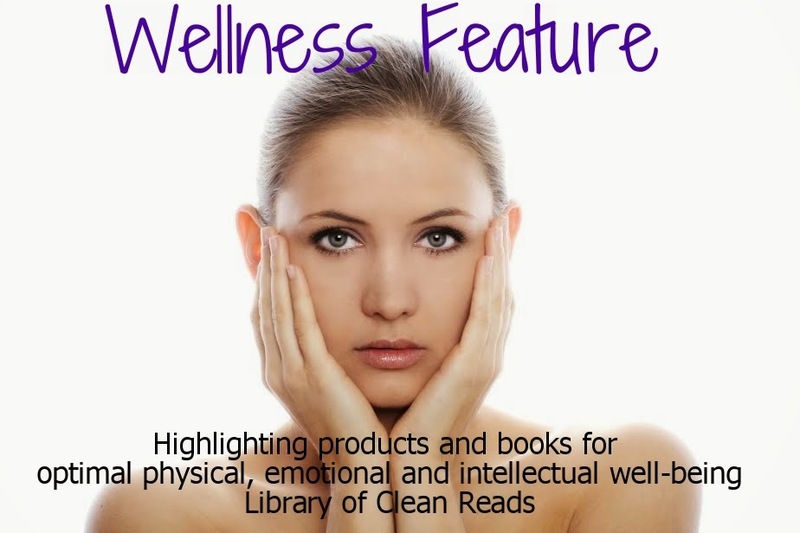 The Wellness Feature is a bi-monthly feature hosted every second Thursday. Feel free to tell us about any book or product that promotes well-being or that you would like to see reviewed here.